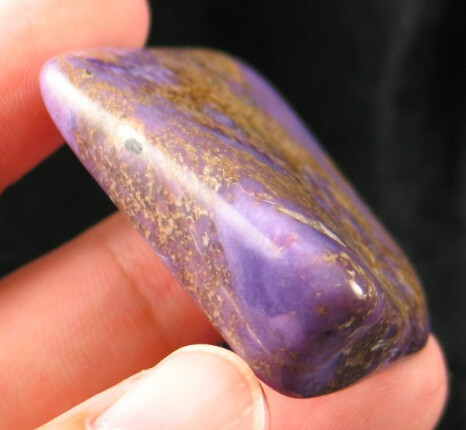 Charoite has a glorious purple color with the unique pattern of swirls, feathers and needles. The colors are are quiet intense with a stunning chatoyant swirl to the colors. Charoite is often found with patches or stars of black (Aegerine), orange (Tinaksite) and transparent crystals (Microcline Feldspar). The fact that charoite was named after the Chara river in Yakutia may be wrong. The nearest bends of the Chara river are located about 70km from the occurrence. 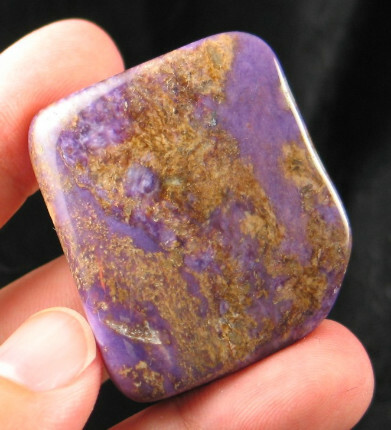 Most probably charoite was named because of the impression that it gives: “Chary” in Russian means “charms” or “magic”. The charoite deposit “Sirenevyi Kamen” has only been known for 30 years and is the original find for this stunning material. 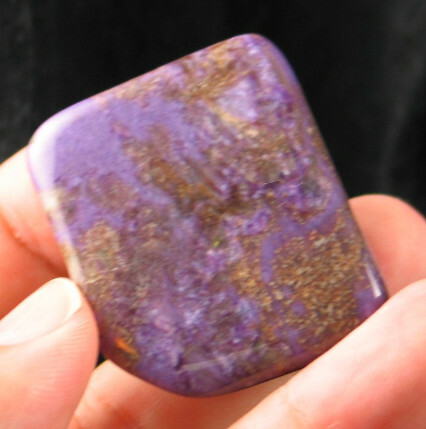 The region in which charoite was discovered is rather difficult to reach. It is located in the Murun Mountains in Yakutia, Russia. 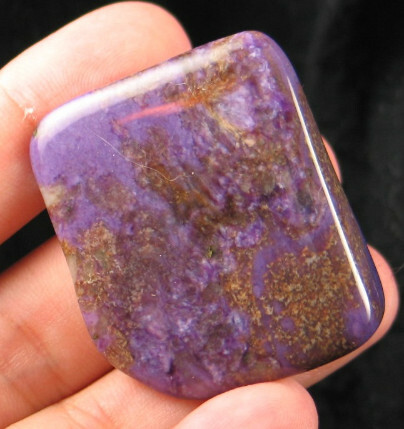 The energy of Russian charoite rich and quite different from the Chinese charoite. It has a deeper resonance that penetrates down to the cellular level. It helps to balance the cells themselves, which help to heal and regenerate your body on all levels. Its energy is very soothing and helps to alleviate chronic stress. 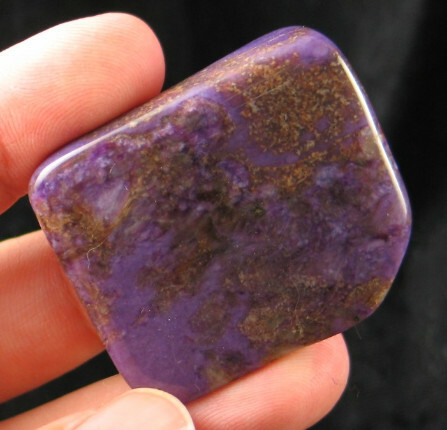 Charoite cleanses the auric body. It opens you up for unconditional love and the balance that it brings in ones life. Placing on the 3rd eye ensures creativity is greatly enhanced in all it's forms. 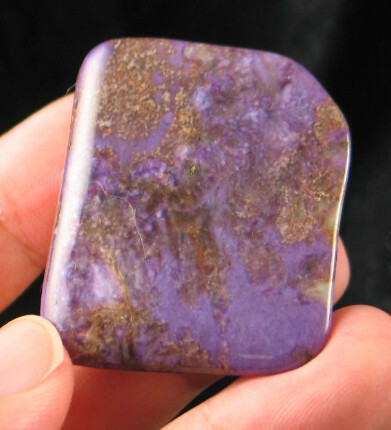 Charoite has great alchemy properties. It has a deeper resonance that penetrates down to the cellular level. It helps to balance the cells themselves, which help to heal and regenerate your body on all levels. Its energy is very soothing and helps to alleviate chronic stress.